Suffolk, Virginia Suffolk Fire and Rescue and the Suffolk Police Department responded to a report of an UXO in the 6900 block of Armstead Avenue. The item was found by a crew working in the area. Police closed Armstead Road while Navy EOD responded to the location to remove the item. 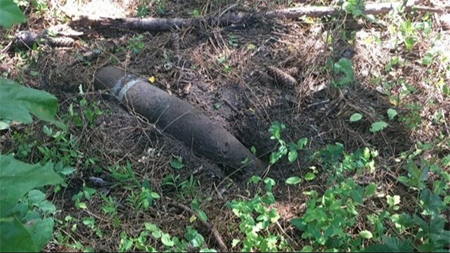 The area where the UXO was found was reportedly part of the former Nansemond Ordnance Depot that was active during WWI and WWII.